This coming June 1, 2019, The Grapevine Heritage AMBUCS will host our 16th Annual Big Bike Run. The Big Bike Run is a charity Poker Run event where riders/drivers travel a prescribed course and draw cards at designated stops. At the final stop, we gather for prizes, silent auction, entertainment, 50/50 raffle and Amtryke Presentations. It’s sure to be a beautiful ride! The Grapevine Heritage chapter of AMBUCS is asking for your help in one of our biggest fundraisers of the year! 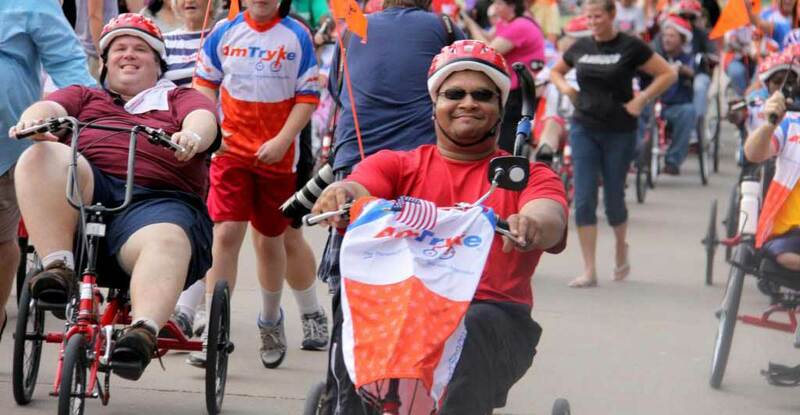 Please help us provide AmTrykes to disabled individuals who otherwise may never feel the freedom of riding a bike! Come early to enjoy Willhoite’s buffet! 11:00am – 12:00pm – Card Draw! Amytrke presentations, Silent Auction, Poker Hand Prizes and 50/50 Raffle! AMBUCS is a non-profit service organization consisting of a diverse group of women and men who are dedicated to creating mobility and independence for people with disabilities. Grapevine Heritage is one of more than 120 chapters of AMBUCS nationwide.